The Graham Taylor Career Journey Hello and welcome, as I try to emulate the managerial career and footballing philosophy of the former England Manager, Graham Taylor. Taylor at the age of twenty-eight, became the youngest manager ever to be appointed by a club in the Football League, when he took over Lincoln City halfway through the 72/73 season, saved them from relegation, whilst finishing a credible tenth in the old Fourth Division. The previous summer, at twenty-seven, he became the youngest man to become a qualified FA coach, after his own professional football career in the Fourth Division had been cut short prematurely by a hip injury. Graham Taylor had a very clear vision for how his teams should play. It should be a direct, fast paced style of play combined with the high pressing and counter pressing game, combined with lots of shots on the opposition's goal. His vision worked and by the 1975/76 season he had led Lincoln City to the title, setting records along the way for games won (32) and goals scored (111) in a single season. He spent the following season in the Third Division with Lincoln City, finishing 9th, before he got a call from Watford's chairman Elton John offering him to drop down a division and take over the club. After accepting the position, Taylor propelled Watford up the table with three promotions in four seasons and getting them to a F.A cup final at Wembley. He also went on to manage Aston Villa, leading them to second place in the 1st Division, before taking the England job, which ended in failure to qualify for the 94 World Cup in the U.S. So for this save I’ll start unemployed with a National A coaching badge, and a past playing experience of regional level professional footballer. After reading his self-penned autobiography, I also intend to use the high intensity tactics he used throughout his career, and see where it takes me. I also want to get a job in League Two, since this was the division where he started his managerial career. The aim of the save is to get my first team promoted and secured in League One within four seasons. Then try start all over again with a League Two side, achieving three promotions in four seasons with them, and if I can, getting them to a cup final along the way. Another aim is to be offered the England job. In the next post I'll update you on whatever League Two club is willing to hire an inexperienced 29 year old Taylor. 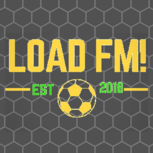 I have problems with fm 19, when I play it is slow and not at all very good. I play on a Macbook Pro 15 from 2017 so it should be able to pull it, can you tell me what the problem is? Hi, and welcome to my first ever FM Editor project; where I aim to bring Marvel’s fictional African nation of Wakanda to the world of Football Manager. I, personally, find myself fascinated by the idea of Wakanda as a theoretical nation-state. A never conquered land from a traditionally perceived backwater of the world, whose policy of isolationism throughout the ages found it barely even noticed by the world’s great powers suddenly opens themselves up and immediately finds itself among the wealthiest, most technologically advanced, and most powerful nations on Earth. It would be a massive shift in the established worldwide political status quo. And in this project, I imagine a world where Wakanda turns their sights on the beautiful game and creates a similar shift in the world of football. My goals for this database are as follows: 1. Do not make Wakanda over-powered. I'm imagining that the ultimate goal of a save in this database would be to lead Wakanda to a World Cup title, which I'd like to make at least somewhat challenging. 2. Create as realistic as possible a football league system for a nation with the abilities of Wakanda. 3. Flesh-out the world by being true to the source material. I want most everything in Wakanda to in some way reference the source material from Marvel Comics. The clubs, the people, the awards; everything that I put in, I want to have a reason for. And 4. Make it as good as I possibly can. There are aspects of this (graphics and logos) that I won't be able to really get to the level of quality that I would like, but I want everything I can do to be done well. 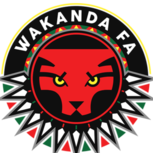 In this Database, I have: Created the nation of Wakanda, replacing Sudan in the database (apologies to any Sudanese) Set up 2 professional divisions in Wakanda, each composed of 18 teams Created 38 football clubs, each with some reference to the vast lore provided by Marvel Comics And created over 100 Wakandan players and staff scattered among the clubs, each named after a Wakandan character from the comics or movie When playing this database for yourself, I highly recommend: Adding Players to Playable Clubs (I was not going to create every single player for every single club so I am relying on the game to help populate the squads in the early going.) Loading players from other African Nations. Ghana, Nigeria, etc. (That being said, the game doesn’t fill out the squads as much as I would like, so the early seasons can be challenging in terms of filling out a roster. Having more African players to sign will help alleviate that somewhat) Rules and Things to be aware of: Premier League clubs are limited to 7 foreign players in the squad and only five in the playing 11. Wakandans are not the most xenophilic folks in the world. (I actual would ideally have this number lower, but it was proving frustrating in the early seasons to have enough players with the heavier restrictions) Wakandan Challenge League Clubs are limited to 5 foreign players in general. The top 2 places in the Premier League of Wakanda qualify for the African Champions League. 3rd place and the winner of the Vibranium Cup qualify for the African Confederations Cup unless the cup winner has already qualified for the Champions League. There are 2 Automatic Promotion/Relegation spots between the two leagues and there is a Promotion/Relegation Playoff between 16th in the Premier League and 3rd in the Challenge League (think basically Germany) Here's a link to the Steam Workshop page for it https://steamcommunity.com/sharedfiles/filedetails/?id=1578023757 and here is the xml file if any of you wanted that instead Wakanda.xml And here is the custom graphics pack I created for it. Wakanda.rar But here is a link to a much better set of graphics done by @Mr Meeseeks that you probably want to use instead Anyway, there’s my Wakandan Database, I hope you all enjoy playing it and feel free to provide any feedback you may have. I’d love to know your thoughts on how it turned out. Have fun guys! P.s. I would like to extend a massive amount of thanks to the creators at Marvel Comics who have given me such a rich world to pull from. Specifically, Jack Kirby and Stan Lee (RIP to both of them) for creating the Black Panther character. As well as Don McGregor ("Panther's Rage" Jungle Action #6-24, 1973), Christopher Priest (Black Panther vol. 3 #1-62, 1998), Reginald Hudlin (Black Panther vol. 4 #1-38, 2005 | Black Panther vol. 5 #1-7, 2008), and Ta-Nehisi Coates (Black Panther vol. 6 #1-18,166-172, 2016) They were all very important and influential in my research and creation of the project. Hello guys, this is my time writing about a save and didn't know if I wanted to post this one. But I have just started my fourth season, having alot of fun (and agony) with this save and wanted to share it. Ashton United were founded in 1878 in Ashton-under-Lyne, Greater Manchester as Hurst Football Club. The Robins play their home matches at Hurst Cross and have just been promoted from the Northern Premier League Premier Division to the National League North, which is the highest in the pyramid Ashton have ever been. As you can see Ashton have never won a single competition in their history, something we look to change, and have the worst facilities a club can have on the game. The next post will detail our first season and once I get caught up I will post updates every two months of game time. Thank you for reading and hope you enjoy! US Granville I recently started a save game with US Granville. The choice of the club is quite simple: during my holiday last summer, I fell in love with the region Normandy. We were on a campsite near Granville, so I saw their stadium almost every day. That’s were the idea started to start a savegame with them in Football Manager. First some background information about the club, thanks to Wikipedia. 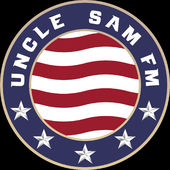 History Union Sportive Granville, commonly referred to as US Granville or simply Granville, is a French football club based in Granville in the Lower Normandy region. The club was founded in 1918 and currently plays in the Championnat National 2. This is the fourth tier of the French football league system behind Ligue 1, Ligue 2, and the Championnat National. Granville share a partnership with nearby professional club SM Caen. In season 2015–16 they had a fantastic run in the Coupe de France, eventually losing in the quarter finals against Olympique Marseille (0-1). In 2018, Granville beat Girondins de Bordeaux 2-1 in extra time, on 32e of Coupe de France. Youth only This will be a Youth Only based save. I allow myself to buy back academy players who I’ve sold. But I won’t buy any other players. Although I’m inspired by the likes of @optimusprimal82, @Jimbokav1971 and @_Ben_,I will not post very detailed posts as them. I would really like to, but as English is not my native language, it’ll take too much time to write them. So I’ll just stick to short updates with a lot of screenshots. My mail goal: win the Champions League with US Granville. I know it is possible, as I won the CL in FM17 with IR (Iceland). I’m currently managing in the second season. In the next post I’ll show you how the first season went. From then I’ll regularly update during the season. Unable to locate Under 23s squad despite being able to add players to it????? Hi all, I signed a 19 year old through a deal my Head of Youth Development put together and when everything was finalised the player was automatically added to the Under 23s squad, however, I am completely unable to find where this squad is?! I have an U18s squad which is readily available, but the U23s is nowhere to be found! Has anyone else come across this same situation or have any ideas? Any help would be much appreciated!